Alan Chadwick was a professionally trained Shakespearean actor, therefore, it is suggested that his lectures and public talks be taken as theatrical performances meant to excite, uplift, and inspire, to urge and promote the doing of work in the world with a sacred approach to all Life, as well as to inform. He was a superb storyteller; a weaver of light and sound. He ardently strove to imbue a mood within the souls of his audience, wherein high art, mystery and magic could flourish, and above all, quality; thus making it possible for his audience to enter the depths of the real and the beautiful. However, Alan was truly at his finest working one on one with apprentices in the Garden, imparting wisdom as well as garden techniques and procedures. Acres of diamonds, strewn about. He would share precise details about caring for levisticum or angelica, and then launch into a fairy story. Those sacred moments with apprentices are not captured on video or audio tapes. They remain alive in the memories of all who heard him. Alan resisted the constraints of modern technology, but begrudgingly allowed the taping of his lectures and talks with the admonition that they were to be shared with the world. Unfortunately, of the five main gardens built by Alan and his apprentices, only one remains. It is hoped that the wisdom imparted in his sharings will inspire the creation of gardens and landscapes imbued with beauty and reverence, and that this archive may serve as a mutli-faceted resource and inspiration for gardeners and artists everywhere. Alan stretched the ordinary meaning of words and phrases, had alternate definitions for other words, and created new words and phrases as well. Therefore, a “Glossary of Terms Used by Alan Chadwick” is needed, so the reader/listener may better grasp the depths of his message, rather than struggle with his unorthodox, unique terminology. It is hoped that a translation from “Alan into English” will help those who are not familiar with his lexicon. This glossary is not meant to be the final word on interpreting Alan’s use of words and phrases, but merely a beginning. Abattoir: a slaughterhouse (French). Alan used it to describe a complete and utter mess, a debacle, a disaster, destruction. Ab aeterno: from the eternal (Latin). Ab intra: from within (Latin). Alan used this phrase to mean “from within the soul, then outward into the world”. Acute: Alan used this word to mean: intensely aware, alive or awake; a deeper knowing or perception; intensely germane to the subject. Adhesion: Alan used this word in a very different manner from its definition. He employed it to mean an interaction between two or more subjects. E.g., an interaction between the Sun and Moon, between the Sun and planets, between leaf-plant-atmosphere, or between light, air, soils, plants and the elements, etc. Ad infinitum: eternal, infinite, with no end in sight (Latin). Alan: e.g., to use compost ad infinitum, liberally. Or a grape vine, not pruned, will grow on and on, ad infinitum. Ad lib: as much and as often as desired; for example regarding soil amendments. Ad nauseum: to the point of disgust; repeated so often as to become annoying (Latin). Ad valorem: according to value (Latin). Alan: use leaf mold from different leaves, ad valorem…according to the quality of the different leaf molds (derived from different leaf sources) which have unique values and qualities, for use with different soil mixes and plants. ‘Aeostro’ (sp): Easter [Ēostre or Ostara, Old English] the time of year in the cycle of a year. Alan: the resurrection of awakening in springtime; rebirth into a new cycle of growth. Ahrimanic and Lucerfic: two adjectives and key concepts of reality used by Alan; two beings or forces mentioned often by Rudolf Steiner. In Steiner’s terms, ahrimanic refers to an over-abundance of cold, darkness, and materialistic calculation while luciferic refers to an imbalanced excess of light, warmth, enthusiasm, narcissism and egocentricity. Alan’s use of these terms while similar varied somewhat from Steiner’s: earthly subterranean forces (coldness, darkness, density and gravity), he termed ahrimanic. The cosmic forces (warmth, light, atmosphere and the upward growth of plants), he characterized as luciferic. They are different directions of spiritual movement manifest in the world. Ahrimanic is downward, toward the material, toward darkness, while luciferic is upward, toward the immaterial, and toward the light. Plant root growth, for example, is ahrimanic, while plant shoot growth is luciferic and upwards. As a further example, Alan states that a cutting is imbalanced toward the luciferic end of the spectrum, having no ahrimanic characteristics at all (roots). Both forces are obviously necessary, and like the yin/yang have elements of one contained within the other. To Alan, balance between these two forces is always the key and the goal. Amalgamation, or Amalgamate: the action, process, or result of combining or uniting. Alan also used this word to mean two or more subjects communicating via a relationship. Angelic force(s): To Alan: the invisible world’s gift of bounty, beauty and goodness into the physical world; the invisible beings and forces that give the gifts of Nature. Archangels (archangeloi): According to Rudolf Steiner and Dionysius the Areopagite, one group of spiritual beings in the Spiritual Hierarchy. Alan referred repeatedly to “The Four Archangels”, alluding to “The Four Seasons” and the Archangels who preside over and influence each season: Rapha-el/Spring; Uri-el/Summer; Micha-el/Autumn; Gabri-el/Winter. See Rudolf Steiner’s text of lectures, Archangels & The Four Seasons, being four “imaginations” of the spiritual depths of the seasons of the year. Area of discontinuity: the physical or non-physical boundary between two subjects, such as leaf and atmosphere, the sea and the beach, land and water, a fruit and atmosphere, etc. Alan claimed that this intersection of two or more subjects is where the most active, concentrated life force activity exists. On a physical level, our skin marks a very real boundary between the human organism and the rest of the cosmos. On a more subtle level, Alan used the term “area of discontinuity” to describe a non-physical juncture where auric boundaries meet and blend together. Also, see Bloom. Attitude of approach: Alan did not have a system or method per se. Rather, he saw an “awake perception in the moment” as crucial to decisions made in the Garden and in life. For Alan, a sacred and reverent attitude of approach supersedes the rote following of procedures, techniques, rules, guidelines or tenets. He called it an “approach from the soul” and believed that this is what helps create beautiful, healthy gardens. Also, as a practical example in action of attitude of approach, he would plant a crop a bit differently one year from the next, depending upon his perception of present environmental conditions. Aurora: dawn, the moment of sunrise (Greek). To Alan, a very special moment each day. According to spiritual esoteric traditions, the cardinal points of dawn, noon, sunset and midnight are important points in the diurnal cycle. Basalisk: from classical mythology – a creature, variously described as a serpent, lizard, or dragon, said to kill by its breath or look. Alan pronounced it Bashalique and used it as an analogy to convey the dangers of hubristic release of destructive forces. Additionally, he used the phrase “release the chains of Bashalique” to point to the need to drop one’s illusions, limitations, materialism, and narrow mindedness. Beatific: the force(s) which foster and imbue the world with the good, the true and the beautiful. Antonym: Malefic. Biodynamic: In Rudolf Steiner circles, the term refers to an approach to gardening and agriculture based upon Steiner’s 1924 lectures and discussions which were published as the Agriculture Course. The term was not used by Steiner, but was later coined by his students in the Agricultural Circle, meaning: a combination of biological and dynamic practices, “bio” meaning life and “dyn” meaning force. Biodynamic Gardening & Farming includes the use of Steiner’s Biodynamic (homeopathic) preparations which Alan did not utilize, but did endorse as effective. Although Alan was tutored by Steiner, he used this term quite differently. Bloom: In the main, Alan used this term not in a purely physical sense, but in a metaphysical sense, meaning the aura around living flora and fauna. An example: the life force around lettuce, or a tomato. When discussing the physical attributes, he usually used the term “blossom”. Cancer and Capricorn & The Two Poles: Alan used this expression as an analogy to indicate two extremes, with the Equator being the balance between the two, thus creating a spectrum. The North and South Poles were the most extreme points in his analogy. Two examples: (1) extremely hot (South Pole), too hot (Cancer), the correct balance (Equator), too cold (Capricorn), extremely cold (North Pole). (2) Extremely wet (South Pole), too wet (Cancer), the correct balance (Equator), too dry (Capricorn), extremely dry (North Pole). The Tropics of Cancer and Capricorn are intermediate points between the poles and the equator and to Alan, represented the one-quarter and three-quarter points in any spectrum of conditions. Alan referred to a range being “from the north pole to the south pole” meaning ‘from one extreme to the other’. Capillary: the upwelling of moisture from deeper soil horizons to the surface. Alan pronounced it: “ka-pill-ary”. Classic: For Alan, the word classic encompasses a broad mode of being and action, in accordance with the divine laws of Nature. Alan often referred to classic technique by which he meant techniques that are grounded in universal laws and principles, whether in painting, music, poetry, architecture or horticulture. He also used the terms professional and amateur; professional being classic, and amateur being “off the rails”. Concentro. Medito. Contemplo: Concentration, Meditation & Contemplation (Latin). Alan talked about these states wherein a soul can open up to the invisible metaphysical world. Conservatoire: a protection from the elements, a glasshouse, hotbeds, cold frames, or an area that conserves and protects life force and vitality (French). Alan sometimes used this term to describe his approach of close plant spacing in a raised garden bed, thus creating a protected area of soil surface, a “thermal control”. In addition, Alan also used conservatoire to refer to concentrated areas of fertility (e.g., compost piles, manure piles or leaf mold piles). Windbreaks, hedgerows and garden walls also provide a level of conservatoire, according to Alan. Also, see Oasis. Cul de sac: a street or passage closed at one end, route or course leading nowhere (French). Alan used this term to connote a dead end. Dirt & Soil (the difference): To Alan, soil is a fragile, fertile, precious gift that supports plant growth and all living beings; therefore soil merits careful handling, reverence and respect. Hence, Alan’s whole approach to cultivation of soil is completely at odds with agribusiness as well as all mechanized farming. Conversely, dirt is the debris and detritus one sweeps out of a barn, home or garage. Alan stated over and over that soil is not dirt. To allude to the diversity within a plant species, or in general, the diversity of natural elements or subjects in life. He sometimes would say “variations on a theme” as well. To describe the movement outward of “origin energy”, as from a stone thrown into a pool of water, then rippling outward, and dissipating. In the case of a plant species, the further from its “origin” in the wild, due to domestication and especially vegetative propagation, the more it will lose its vitality and become prone to weakness, causing diseases, as well as insect attack. See also Varietal Disintegration. Drivel: nonsense, silly stupid talk or writing, meaning nothing. 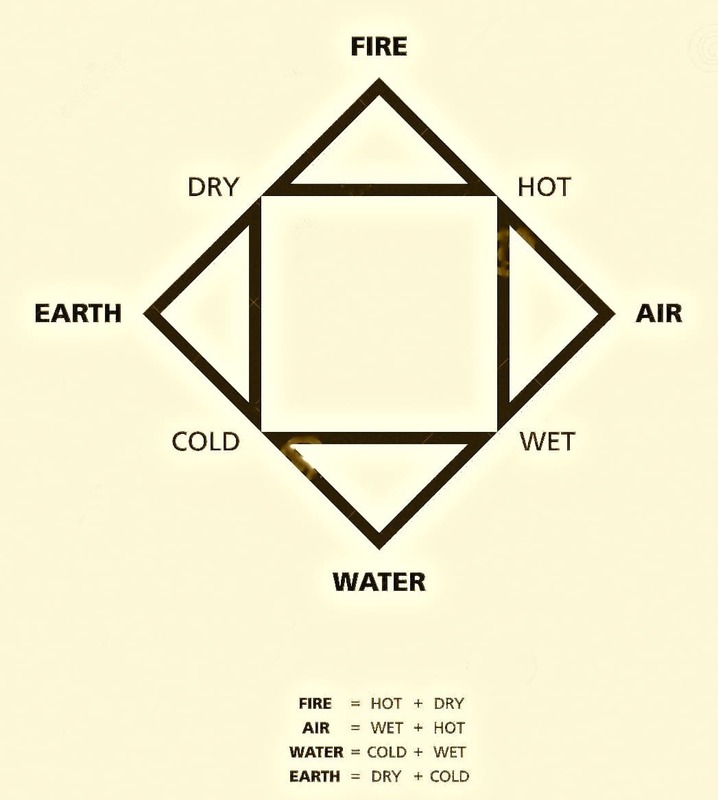 Empedocles established four ultimate elements which make all the structures in the world—fire, air, water, earth. Eleve´: to increase, enliven or uplift (French). Alan used this word in two basic ways. First, he refers to the increase in both intensity and quality of the fertility in the soil and atmosphere. Alan says, “We actually cultivate the atmosphere as well as the soils.” Secondly, Alan referred to the freeing and re-awakening of the human soul that occurs by working with Nature in the Garden, thus imbuing the individual with heightened perceptions and powers of acute observation. Emanation: issuing from a source, or in Alan’s words “a give off”. Alan used this word in two basic ways: physical and metaphysical. Physically, an emanation might be the fragrance of lavandula or nicotiana affinis; the aroma, fragrance or chemical effect plants exert upon their immediate surroundings. Metaphysically, Alan used this word to refer to a person’s attitude of approach and “pre-thought intentions”; an inward mood radiating from within to without; an aura of good or ill that all living beings in Nature can perceive. Plants and animals also have unique emanations. Emanation is one of Alan’s core principles. Entrance: to put into a trance; enchant (French). Gates and garden entries should entrance and uplift people according to Alan. He pronounced it, “ahhn – tranz”. Environment: the surroundings or conditions in which a person, animal, or plant lives (French). Alan employed the French pronunciation: “ahnn-veh – rhonne – mon”, invoking a more sacred and nuanced meaning when he referred to natural surroundings as alive with beingness. He noted that most all indigenous peoples are aware of this metaphysical presence of aliveness throughout Nature. Expectation & Surprise: Alan spoke constantly of this landscape design tenet. Each garden should contain elements that evoke expectation and surprise. Gardens that have “garden rooms” demarcated by tall hedges or other design elements, like Vita Sackville-West’s gardens at Sissinghurst, masterfully demonstrate this design principle where one passes through doorways into a series of “garden rooms”. Exploding Boxes: Alan’s derogatory phrase for motor cars and trucks, and their polluting exhaust fumes. It is an exquisite phenomenological description of vehicles powered by the internal combustion engine. French Intensive: Alan named his approach to horticulture, using this phrase as a part of it; Biodynamic being the other part. Alan, having apprenticed in France under Louis Lorette in fruit culture, and having studied the techniques of French maraîchère (market gardening in and around Paris at the turn of the nineteenth to twentieth century), used this term to describe his unique approach to horticulture. Intensive plantings in small areas, close spacing of plants, the use of cold frames, hotbeds and cloches, and relay sowings and plantings, in order to have produce for the most of the four seasons are just some of the hallmarks of French maraîchères. Hortus conclusus: an enclosed garden (Latin). This is a medieval term describing the creation of small enclosed gardens in European monasteries wherein monks and others began to grow herbs and plants to study and utilize for food and medicine. Walafrid Strabo (808-849 CE) is remembered in large part because he has given us one of the very few first-hand descriptions of an early medieval garden, a hortus conclusus. Virginia apprentices gave Alan a copy of Walafrid Strabo’s Hortulus, which he cherished. Ideé: concept, idea (French, pronounced “ee-day”). Alan also used Idee´ to characterize the process of receiving “inspiration from above” activated by awake and aware souls. Also germane to this discussion is Plato’s concept of the ideal form. Alan talks about “pre-thought”, and “our thoughts given to us from ‘above’ ” in a similar manner. And in the spirit of Goethe, Alan also employed idee´ to describe the nascent potential held within a seed, the “ego embryo” as Alan called it. Alan said that Goethe hit upon a deep truth and stated that, “reason and intellect will never tell you the truth, only idee´ will do so.” Alan often quoted Plato: “I do not know, but I do perceive.” See Metamorphosis below. Image: Alan used the French pronunciation, “Ee-mázge”. His intent was to go beyond the mere reference to an image, picture or thought. Here, Alan is pointing to spiritual vision, which is given, and not taken or grabbed by us. Idée and image are nearly interchangeable. The imaginal realm is where the human and divine interweave, from whence the wild crabapple becomes a Coxe’s Orange Pippin cultured apple. In all indigenous cultures, it is direct communication with the plants that shows humans what can be done. There is an element of human desire in this, but also the desire of Nature to work with us, as long as we are obedient to her laws. This interaction takes place through the faculty of human image, in the world of deep, creative imagination. Inclination and Declination: Alan constantly referred to phases of increasing and decreasing influences of the Sun and Moon as “inclination and declination”. He also referred to the increasing presence and strength of the four seasons in the same manner. An inclining Moon, to Alan, is the period of New Moon to Full Moon, and a declining Moon is the period from Full Moon back to the next New Moon. Seasonally, the Sun is inclining from December 21st to June 21st, and declining from June 21st to the next December 21st. Alan and Rudolf Steiner both speak of the winter and summer solstices as time periods of sleep (winter, sleeping above; summer, sleeping below). Infuse; infusion: the introduction of a new element or quality into something. An example: Alan left certain weeds growing in a vegetable bed, or a seed box up to a certain stage of their growth to infuse their vital forces into the soil and the surrounding vegetables or cultivated plants. Alan sometimes said, “an infusion of growth”, meaning an impetus of growth or a growth spurt. Invisible World: Alan used this phrase often to point to the spiritual world. Les Enfants du Paradis: Children of Paradise (French). At the end of his life, Alan referred to his apprentices as Les Enfants du Paradis. Ley Crops, Ley Areas: the growing of grass, cover crops and/or legumes in rotation with grain or tilled crops as a soil conservation measure; cultivated areas set apart from production or flower garden areas. Ley is an English agricultural term. Alan claimed that 50% to 60% of your total horticultural /agricultural area should be left aside for the growing of ley crops, so these ley plants improve the soil and the green matter derived from them is used for composting. Forty years of careful research by John Jeavons and his colleagues at Ecology Action has proven that Alan is essentially correct in terms of sustainability. Metamorphosis or Metamorphosed: Alan’s touchpoint for these terms is, again, Goethe, especially when he is referring to a plant’s growth and change and its transformation over time. He says, “The seed is the utmost idee´ and the least metamorphosis, while the plant is the utmost metamorphosis and the least idee´”. By “metamorphosed”, Alan meant transformed or changed. Non plussed: surprised, confused, agitated, roiled up, or upset to a great degree. Nutriment(s): Alan meant substances and the alchemical processes of transmutation and change which serve to furnish living beings with the necessary physical and non-physical constituents for maintaining healthy life. Alan preferred this “vitalist” word to the much more materialistic, “physicalist” word, nutrient(s). Oasis: an area in Nature with an excellent fertility built up over time, like leaves piled up and decayed in a forest, creating humus, or the decayed leaves under bamboo groves; a natural zone of fertility in Nature. Origin: Alan often used this word to refer to wild plants which still retain their properties of strength and inherent vitality. Cultivated plants, as a rule, especially those propagated through asexual means (vegetatively propagated) begin to slowly lose their vitality, strength and disease resistance over time. See Varietal Disintegration below. Pardae: paradise (Persian); a word meaning enclosure or park. The word “paradise” entered English from the French paradis, inherited from the Latin paradisus, and from the ancient Persian paridayda, a walled enclosure. By the 6th/5th century BCE, the Persian word had been adopted as Assyrian pardesu, or domain and subsequently came to indicate the expansive walled gardens of the First Persian Empire. The term eventually appeared in Greek as parádeisos , “a park for animals” in the Anabasis of the early 4th century BCE Athenian Xenophon. The Aramaic pardaysa similarly reflects “royal park”. Participle: Alan usually meant “participant” or “participating in” when using this word. Paysan: a peasant, rural gardener or agricultural worker (French). Today the word peasant is generally used as an insult. Alan revered the paysan due to their innate wisdom and intimate knowledge of the land, plants and spirit of place. His use of the French word to describe them elevates their stature. Planetary Influences: Alan spoke of the planetary influences in the sense of spiritual infusions into the physical subjects in Nature and upon human beings. He primarily spoke of the influences of the Sun and Moon; however, one night in Virginia, he went into great detail regarding the planetary influences of the other seven sacred planets as they relate to the Biodynamic Preparations as well as to plants, animals, soils and atmospheres. Préssentiment: Alan often referred to a crown préssentiment, by which he meant the area where the shoots meet the roots just above the soil surface. He also used this word to describe the emphasis of a feature in the landscape, or in a design or painting, “presenting itself prominently”. Pulsation: The activity created moving from tension to relaxation and back again, and so on. Tension and relaxation bring about pulsation. See Tension and Relaxation below. Qui vive: Alan would sometimes say, when working with apprentices in the Garden: “Stay on the qui vive.” He meant to be awake and aware, to pay attention. Relationship and Dis-relationship: Alan is describing here the processes in Nature of attraction and repulsion, or sympathy and antipathy. “This is attracted to that, or this is repelled by that.” This forms the basis of what is now called companion planting. But Alan goes much further than this. He speaks of hundreds of examples, both in wild Nature and in the garden, wherein certain plants and other substances are employed to bring about ecological health and balance. Revolutionibus: De revolutionibus orbium coelestium (On the Revolutions of the Heavenly Spheres) is the seminal work on the heliocentric theory of the Renaissance astronomer Nicolaus Copernicus (1473–1543). Ptolemy, also refers to this in his Tetrabiblos, as does Ali ibn Ridwan, describing the movements of the stars and planets. Revolutionibus is frequently used by Alan and means the general subtle influences of celestial bodies upon earthly life and growth (especially plant growth) and the four seasons. It consists of the continuous movements of the seven classical visible planets (the secundus mobile: the Moon, Mercury, Venus, Sun, Mars, Jupiter and Saturn), the ‘fixed’ stars of the constellations (the prima mobile), and the æthereal realm, invisible and beyond the stars. The whole of biodynamics is to open the garden to this cosmic influence, bringing the spiritual literally into the plants. Robust-U-ousness: a word created by Alan which means robustiousness, exuberance, full of vitality, alive. Sanctum sanctorum: Holy of Holies (Latin). In classical landscape architecture, two concentric circles of tall hedges, one inside the other, creating inner and outer spaces, for people to enter and experience; the inner one being more sacred than the outer, less sacred space. The idea for this goes back to Solomon’s Temple, with an inner and outer room or space. 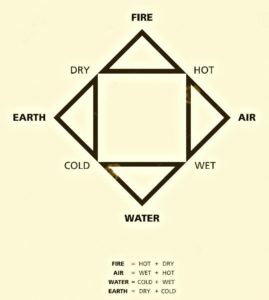 Primum Mobile, Secundus Mobile & The Aethereal World: ancient phrases for the movement through the celestial geometrical spheres by the sun, moon, and planets. Primum Mobile: the ‘fixed’ stars of the constellations. Secundus Mobile: the seven classical visible planets – the Moon, Mercury, Venus, Sun, Mars, Jupiter and Saturn. The æthereal world: realm of the invisible and beyond the stars. Alan stated that “sausage” was a theater term, and he also used to say, “it doesn’t mean a “sausage”. Sharp: Alan means sharp sand. This is not the sand extracted from a river bed where its particles’ sharp edges have been rounded off by rushing water, but sand taken from a quarry, sometimes called mason’s sand, coarse sand or builder’s sand, wherein the particles retain their sharp edges. Sharp sand is used in seed sowing mixes for mineralization, aeration and a lightening or granulation of the soil potting mix. Sport: a horticultural term; a variation of vegetative growth, principally from fruit trees. Alan speaks of the nectarine, for example, that was a sport which first appeared on a peach tree, and because it had desirable characteristics for humans, has since been propagated “vegetatively” from cuttings. Sylván: a forest, copse of trees, wild forests. Silvanus, meaning “of the woods” (Latin) was a Roman tutelary deity of woods and fields. As protector of forests (sylvestris deus), he especially presided over plantations and delighted in trees growing wild. Alan spoke of trees as homes for elemental beings and enchantment, as well as homes for birds, insects and other fauna. Synergist: any admixture to a substance for increasing the effectiveness of one or more of its properties. In the main, Alan employed this word in much the same way that herbalists do. AniYunWiYa (Cherokee) Nvwotis employ American ginseng (Panax quinquefolius) as a synergist to help other herbs work more effectively, increase life force, and minimize potential deleterious effects. Synergists: these herbs activate synergy, and are often spices (black pepper, cardamom, cayenne, cinnamon, ginger, melissa, peppermint, etc.) that increase circulation, improve digestion or enhance the absorption/action of other herbs. Tension and Relaxation: For Alan, the two opposite processes of Life that govern all of Nature and growth. We see it in the process of breathing. For Alan and Goethe, the nascent potential, or tension of seeds transforms into the relaxation of plants’ growth, then contracts again. The tension of the bud then transforms via relaxation into a flower. The flower via tension transforms again into seeds, and the great cycle repeats itself ad infinitum. Alan talked about this process of relaxation and tension in breathing, ballet, music and poetry, as well as in classic, artistic horticulture. “The ant knows no other joys, which instead of contracting happiness, enlarge it, multiply it and lavish it upon her innumerable sisters. She lives in happiness, because all live in her and for her, as she lives in all and for all. Toys of the Nursery: Alan employed this phrase in two basic ways. The first is when he refers to clocks and time or certain modes of expression, speaking, writing, etc., as mere surface reflections of much deeper matters. Secondly, he quotes Oscar Wilde who said that “all art is useless” and Alan goes on to state that “art is not art, but toys of the nursery that just exist, unless the art is grounded upon a foundation of universal laws.” Also, to Alan, a piano is merely a piano – a toy of the nursery – until it is lit up and enlivened by the musician. Triplicities: twelve constellations of the astronomical Zodiac (the circle of animals), so divided into four groups of three, according to their affinity with the classical Greek Four Elements. Earth Signs: Taurus, Virgo & Capricorn; Water Signs: Cancer, Scorpio & Pisces; Air Signs: Gemini, Libra & Aquarius; Fire Signs: Aries, Leo & Sagittarius. Turn Turtle: to turn upside down; to scramble; to turn the tables on. Twaddle: trivial or foolish speech or writing; nonsense. An English term. Up The Gum Tree: lost, errant, or on the wrong track. Wizikee (sp): a damaged transplant, a weak plant, or a plant with poor, aberrant growth characteristics. Wordism: Thinking that one knows what something is by its definition; knowing a word by other words, rather than the essence of that word. Alan referred to wordism as the “stuffing of the attic in the head full of empty words, devoid of any connection to truth”. This is the trap of believing one can understand anything through mere words and abstractions.